Home owners insurance is not something most people like to think about, but home owners insurance is a critical element for protecting your most valuable asset – your home — and the precious possessions within it. 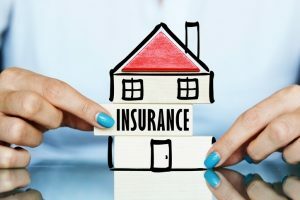 The best way you can protect that investment is with home owners insurance – and if you live in Connecticut, the best place to get home owners insurance for the surrounding communities is Keating Agency Insurance. As an Independent Insurance Agency, we know that the home owners insurance quotes you get from Keating Agency Insurance will lead to the right home owners insurance that protects not only your home, but also your financial well-being. Keating Agency Insurance is an independent insurance agency because we believe consumer choice only happens with multiple insurance companies to choose from. Our licensed agents have the knowledge, training and experience to offer you the best home owners insurance quotes. You can find choices for home owners insurance day in and day out, but you won’t find the quality and caring that the Keating Agency Insurance provides before, during, and after the sale. Life happens and we want you to enjoy every second of it by not worrying about your home owners insurance. To get the most competitive and comprehensive home owners insurance contact the home owners insurance specialists here at Keating Agency Insurance.